More People Dying From Heroin Overdose Than Murder by Gun! OF course the majority (by a pretty good margin) of these deaths are of white people living in the suburbs and rural areas…So unlike the “crack epidemic” there isn’t going to be any push to criminalize. Yet another reason the “War on Drugs” has been an utter and complete failure. In the CDC’s opioid death data, deaths may involve more than one individual drug category, so numbers in the chart above aren’t mutually exclusive. Many opioid fatalities involve a combination of drugs, often multiple types of opioids, or opioids in conjunction with other sedative substances like alcohol. The whole truth of this, as I suspect a lot of things in the 3rd world, has never been admitted. Having been in Haiti working when the epidemic started, I think the numbers provided by the world press are off by 5 or more. Indeed, one person I know who was in position to say – put the number of dead the first two days at double the claimed total number today. The Haitians figured out pretty quick where the cholera came from. A disease which Papa Doc had eliminated in the country. The UN promptly went into cover-up mode, even when it was found that the sewage trenches dug by their soldiers from Nepal were leaking directly into the river. And even after it was discovered by DWB that the strain of cholera was native to the Nepal region of Asia. Even when it was shown that those soldier hadn’t been screened for cholera and other infectuous diseases (which is a UN requirement) prior to deployment. Haitian despise the UN’s Minustah which is their “Peacekeeping” Military force – and this is just one of the reasons. For the first time since a cholera epidemic believed to be imported by United Nations peacekeepers began killing thousands of Haitians nearly six years ago, the office of Secretary General Ban Ki-moon has acknowledged that the United Nations played a role in the initial outbreak and that a “significant new set of U.N. actions” will be needed to respond to the crisis. 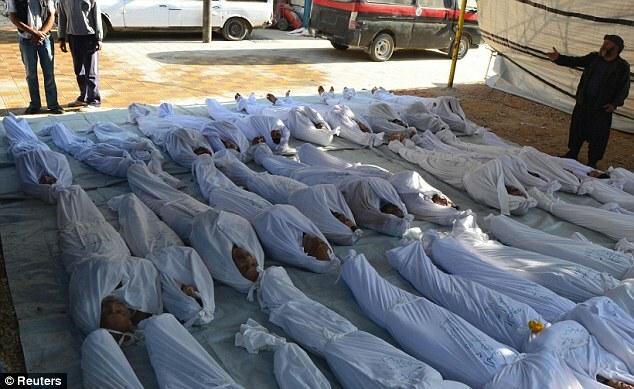 But it represents a significant shift after more than five years of high-level denial of any involvement or responsibility of the United Nations in the outbreak, which has killed at least 10,000 people and sickened hundreds of thousands. Cholera victims suffer from dehydration caused by severediarrhea or vomiting. Mr. Alston also argued in his report that, as The New York Times hasreported, the United Nations’ cholera eradication program has failed. Infection rates have been rising every year in Haiti since 2014, as the organization struggles to raise the $2.27 billion it says is needed to eradicate the disease from member states. No major water or sanitation projects have been completed in Haiti; two pilot wastewater processing plants built there in the wake of the epidemic quickly closed because of a lack of donor funds. There are now over 300 cases of pregnant women who have the Zika virus in the United States. The Senate and President Obama have approved and requested emergency funding to stem the fast growing epidemic. 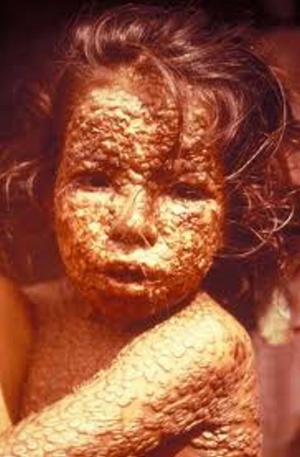 House Republicans have stalled funding for over 3 months now, as more and more Americans contract the virus. Zika virus has been linked to microcephaly in infants, a condition that causes unusually small skulls and brains, and could lead to death or disability. Democrats say Republicans are risking an outbreak of Zika, a disease that threatens the developing brains of fetuses. Even pregnant women have become fodder for partisan Washington funding fights. With nearly 300 pregnant women in the United States already infected with the Zika virus and the summer mosquito season looming after a soggy spring, Congress has yet to approve the Obama administration’s three-month old, $1.9 billion request for emergency funding. The bipartisan response to previous public health crises, such as the 2014 Ebola outbreak and the H1N1 flu pandemic in 2009, is not evident in the months-long congressional debates about Zika, despite its huge human costs. The virus in pregnant women has been closely linked to severe brain abnormalities in fetuses. The Zika debate is caught up in election year politics and general GOP opposition to emergency spending. But there is another huge factor at play with Zika. Many congressional Republicans say they feel burned by the Obama administration’s response to the Ebola outbreak in 2014. In hindsight, the emergency response to that crisis was overfunded, they say, and now the White House is reluctant to reallocate all of the leftover money. Congress doesn’t want to give another blank check on Zika. “Looked at what happened with Ebola — it looks like they asked for more than they needed,” said Sen. Richard Burr (R-N.C.), who backed the Senate’s $1.1 billion deal on Zika and is perhaps the most prominent Republican defender of public health and emergency preparedness. The Obama administration and congressional Democrats say that by refusing to put up the money, Republicans are recklessly playing with fire on a health crisis that threatens the developing brains of fetuses. Already, there are 157 pregnant women in the continental United States and 122 in the U.S. territories — mostly Puerto Rico — with a confirmed Zika diagnosis who risk giving birth to babies with microcephaly, a birth defect where a baby’s head is unusually small and the brain is underdeveloped, according to a CDC report issued Friday. So far, all the cases in pregnant women in the continental United States involve women who traveled abroad or more rarely, who were infected by men who traveled to Zika hot spots. The virus is being transmitted locally by mosquitoes in the territories. But public health experts expect that local transmission of the virus through mosquitoes will spread to the continental United States — mostly the southern states — this summer. 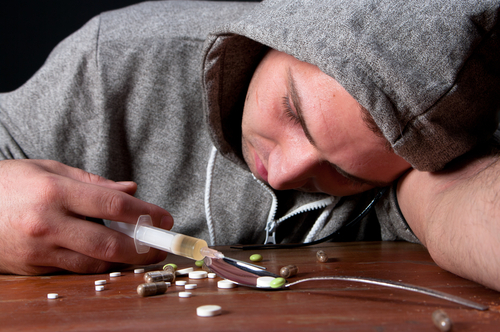 The New Drug Epidemic…Why No Criminalization? Back in the late 80’s and early 90’s politicians rushed to write and approve punitive laws for users of “crack” cocaine…Because the majority of users of that form of cocaine were black. Never mind that powder cocaine, and crack are the same drug. Now America has a new “drug epidemic”…And the same politicians want to look the other way, because in vast majority the victims are white. Drug overdoses are driving up the death rate of young white adults in the United States to levels not seen since the end of the AIDS epidemic more than two decades ago — a turn of fortune that stands in sharp contrast to falling death rates for young blacks, a New York Times analysis of death certificates has found. The rising death rates for those young white adults, ages 25 to 34, make them the first generation since the Vietnam War years of the mid-1960s to experience higher death rates in early adulthood than the generation that preceded it. The Times analyzed nearly 60 million death certificates collected by the Centers for Disease Control and Prevention from 1990 to 2014. It found death rates for non-Hispanic whites either rising or flattening for all the adult age groups under 65 — a trend that was particularly pronounced in women — even as medical advances sharply reduce deaths from traditional killers like heart disease. Death rates for blacks and most Hispanic groups continued to fall. The analysis shows that the rise in white mortality extends well beyond the 45- to 54-year-old age group documented by a pair of Princeton economists in a research paper that startled policy makers and politicians two months ago. While the death rate among young whites rose for every age group over the five years before 2014, it rose faster by any measure for the less educated, by 23 percent for those without a high school education, compared with only 4 percent for those with a college degree or more. The drug overdose numbers were stark. In 2014, the overdose death rate for whites ages 25 to 34 was five times its level in 1999, and the rate for 35- to 44-year-old whites tripled during that period. The numbers cover both illegal and prescription drugs. The “crack epidemic” of the late 80’s and early 90’s is over. One of the key racial hypocrisies of the response to the epidemic was to make sentences for possessing “crack”, used by black folks, about 5 times worse than cocaine, the same drug – used by whites. Now we have a “heroin epidemic”, but the legal and legislative response is almost invisible. Indeed, you wouldn’t even know this was going on if you watched the evening news. That’s because about 90% of the new addicts are white, don’t live in the city…And start using heroin as a cheaper substitute to the drugs they have been stealing out of Mommy and Daddy’s bathroom cabinet. The move now is to “treat” addicts. Having some experience in dealing with that with a friend – that is one long hard road. I went to some of those meetings in support, about 5 years ago, and was stunned by what I saw. I remember years ago the streets of downtown Baltimore being covered by heroin addicts – mostly black, mostly from the ghetto. Baltimore during the 8070′ through the 90’s had the largest population of addicted in any major city. These folks at the the new meeting were mostly white, mostly the addicts were kids under the age of 25, and we mostly from middle class families. And it is driving ancillary crime in rural and suburban areas to support their habits. But heaven forbid we fill the jails with white addicts. 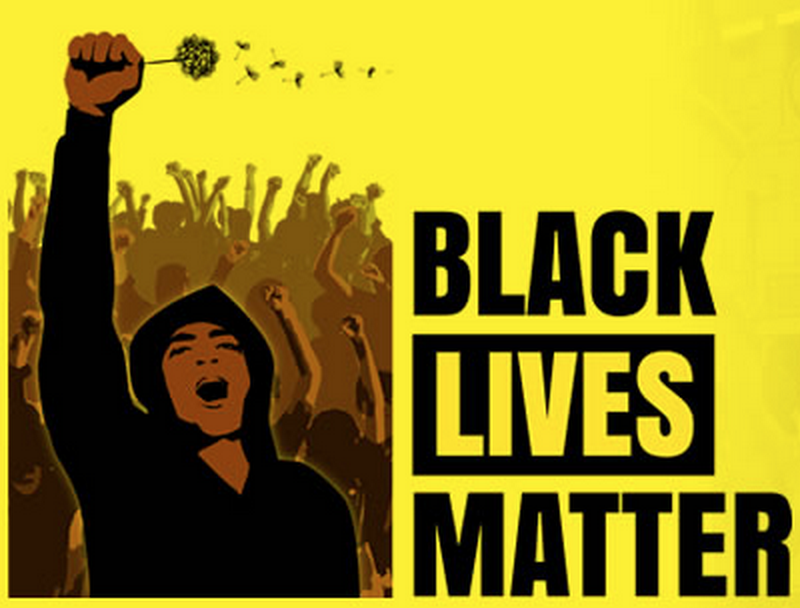 The end of the senseless “War on Drugs”, is indeed all about racial politics. 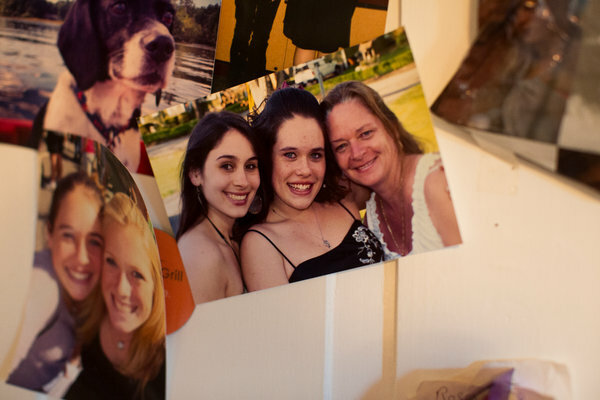 A photo of Courtney Griffin, who died of a heroin overdose in 2014, with her sister Shannon, left, and her mother, Pamela. When Courtney Griffin was using heroin, she lied, disappeared and stole constantly from her parents to support her $400-a-day habit. Her family paid her debts, never filed a police report and kept her addiction secret — until she was found dead last year of an overdose. At Courtney’s funeral, they decided to acknowledge the reality that redefined their lives: Their bright, beautiful daughter, just 20, who played the French horn in high school and dreamed of living in Hawaii, had been kicked out of the Marines for drugs. Eventually, she overdosed at her boyfriend’s grandmother’s house, where she died alone. When the nation’s long-running war against drugs was defined by the crack epidemic and based in poor, predominantly black urban areas, the public response was defined by zero tolerance and stiff prison sentences. But today’s heroin crisis is different. While heroin use has climbed among all demographic groups, it has skyrocketed among whites; nearly 90 percent of those who tried heroin for the first time in the last decade were white. And the growing army of families of those lost to heroin — many of them in the suburbs and small towns — are now using their influence, anger and grief to cushion the country’s approach to drugs, from altering the language around addiction to prodding government to treat it not as a crime, but as a disease. Mr. Botticelli, a recovering alcoholic who has been sober for 26 years, speaks to some of these parents regularly. Their efforts also include lobbying statehouses, holding rallies and starting nonprofit organizations, making these mothers and fathers part of a growing backlash against the harsh tactics of traditional drug enforcement. These days, in rare bipartisan or even nonpartisan agreement, punishment is out and compassion is in. The presidential candidates of both parties are now talking about the drug epidemic, with Hillary Rodham Clinton hosting forums on the issue as Jeb Bush and Carly Fiorina tell their own stories of loss while calling for more care and empathy. 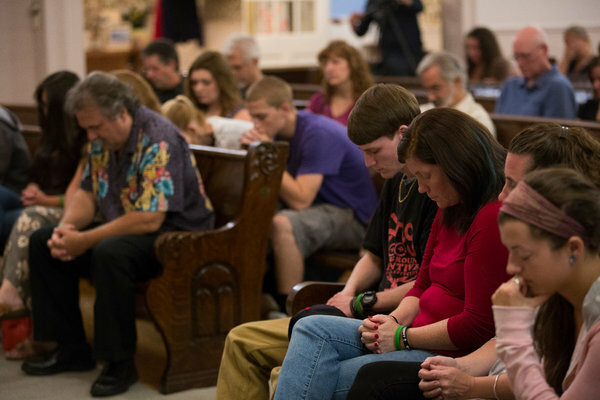 Families meet at a Counseling Session and pray for their family members and friends who are addicted. Last week, President Obama traveled to West Virginia, a mostly white state with high levels of overdoses, to discuss his $133 million proposal to expand access for drug treatment and prevention programs. The Justice Department is also preparing to release roughly 6,000 inmates from federal prisons as part of an effort to roll back the severe penalties issued to nonviolent drug dealers in decades past. And in one of the most striking shifts in this new era, some local police departments have stopped punishing many heroin users. In Gloucester, Mass., those who walk into the police station and ask for help, even if they are carrying drugs or needles, are no longer arrested. Instead, they are diverted to treatment, despite questions about the police departments’ unilateral authority to do so. It is an approach being replicated by three dozen other police departments around the country. “How these policies evolve in the first place, and the connection with race, seems very stark,” said Marc Mauer, executive director of the Sentencing Project, which examines racial issues in the criminal justice system. Still, he and other experts said, a broad consensus seems to be emerging: The drug problem will not be solved by arrests alone, but rather by treatment. Deaths from heroin rose to 8,260 in 2013, quadrupling since 2000 and aggravating what some were already calling the worst drug overdose epidemic in United States history. A new drug has appeared on the streets, which is being consumed because it is far cheaper than either Meth or Heroin. It is a manufactured drug, and has severe health implications. Ground Zero is currently South Florida. (Just as it was for Pablo Escobar’s cocaine back in the early 80’s). With it’s cheap price, and being relatively unknown to Law Enforcement outside of South Florida, it won’t be long until it moves out to the suburbs and rural America. The new drug flakka, which comes in the form of pink or white crystals, has grabbed media headlines over the last few months because of the drug’s side effects, which causes users to act in dangerous, even violent, behaviors. But what is flakka and why should we be so worried about it? Flakka can be snorted, eaten, injected, or vaporized. It is a cousin of “bath salts,” which are an emerging family of drugs containing one or more synthetic chemicals related to cathinone, an amphetamine-like stimulant found naturally in the khat plant. But flakka is considered more addictive. It is also more dangerous than cocaine, and similar to, but cheaper than methamphetamine. Flakka, which gets its name from the Spanish slang for skinny woman, “la flaca,” also goes by the street name gravel. This past December, 34-year-old Ft. Lauderdale resident Bobby Henry Jr. posted a video titled “Flocka Is Destroying USA” that shows a young woman getting drenched by the rain, apparently oblivious to her surroundings. “This is what flakka is doing in our hood,” he says in the clip. Four months later, the common spelling of the drug has changed, but flakka poses no less of a threat — especially among South Florida’s most impoverished residents. The drug, which can produce powerful hallucinogenic effects comparable to those produced by bath salts, has garnered national attention in past week or so, with the Drudge Report linking to three different stories on its apparent newfound prevalence. One man was found running naked through the streets of Ft. Lauderdale, and another tried to break into the streets of police headquarters. But Henry, who says he sees users in front of his custom jewelry office all the time, says it’s actually been around for “a long time,” and that it’s just another synthetic drug like crystal meth that dealers have given a new name to. WHY IS IT CALLED “FLAKKA?” DOES IT HAVE ANYTHING TO DO WITH WAKA FLOCKA FLAME? There’s no evidence that flakka is named after the Atlanta rapper, but nobody really knows where the name comes from. It could be a variation of “la flaca,” a Spanish slang phrase meaning “skinny girl.” Or it could simply be random. WHAT ARE ITS HEALTH EFFECTS? In a recent presentation on the drug, John Cunha, an emergency-services physician at Holy Cross hospital in Broward County, said that users consider flakka to be the new crack or heroin, echoing Henry’s remarks. He compared the worst-case after effects of the drug to what can happen, in rare instances, to someone who runs a marathon, wherein muscle tissue starts to decompose and break down into the blood stream. That can lead to kidney failure and death.